Well Done to Newham Sword’s U12 and U16 Teams who took gold and silver respectively today at the Eastern Region Youth Team Championships! 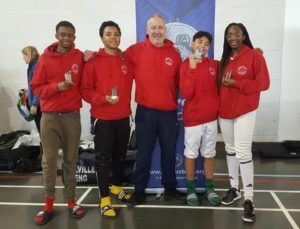 Well Done to Teagan Williams-Stewart, Abubakr Bah, Keir Adeleke, Jamiel Contractor, Khalam Contractor, Daniel Duras and Mikhel Archer. 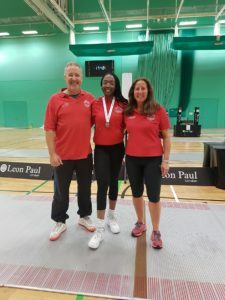 Well done also to coach Pierre Harper!! 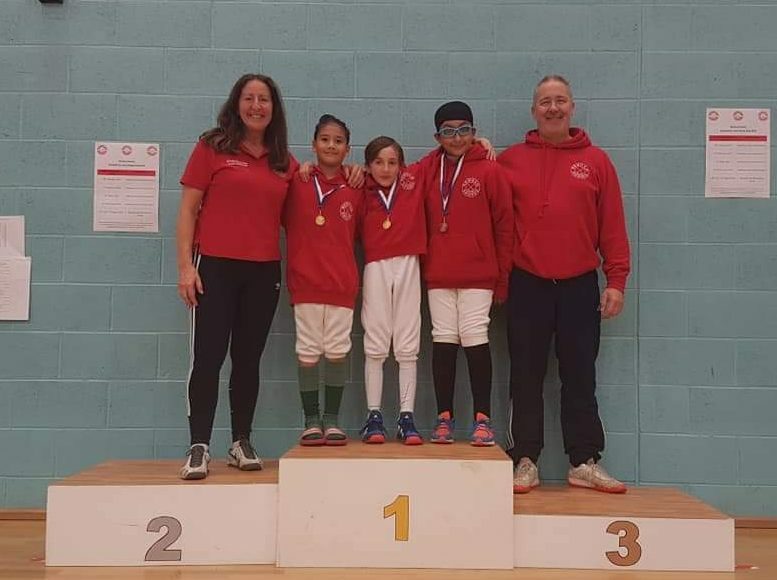 U12 TeamDaniel Duras Khalam Contractor (front) and Mikhel Archer. 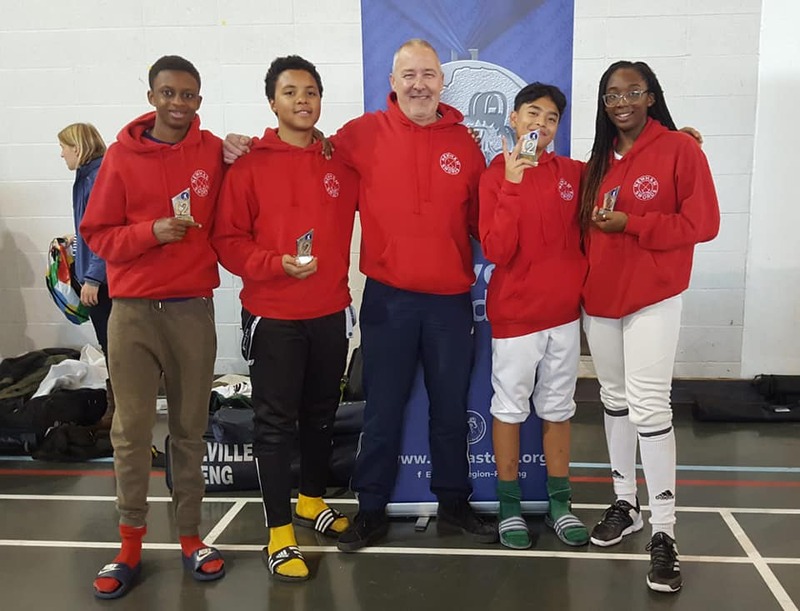 Well done to our Newham Swords Cadet and Junior Internationals who have achieved some fantastic results over the last two months, earning them GB selections for various cadet and junior internationals over the next three months! Well Done to Teagan Williams-Stewart and Georgia Silk who are now ranked 1 and 2 respectfully in the GB U17 Rankings, and who have just been selected for the U20 Eden Cup, the Budapest U17 International and the Cabries U17 International. 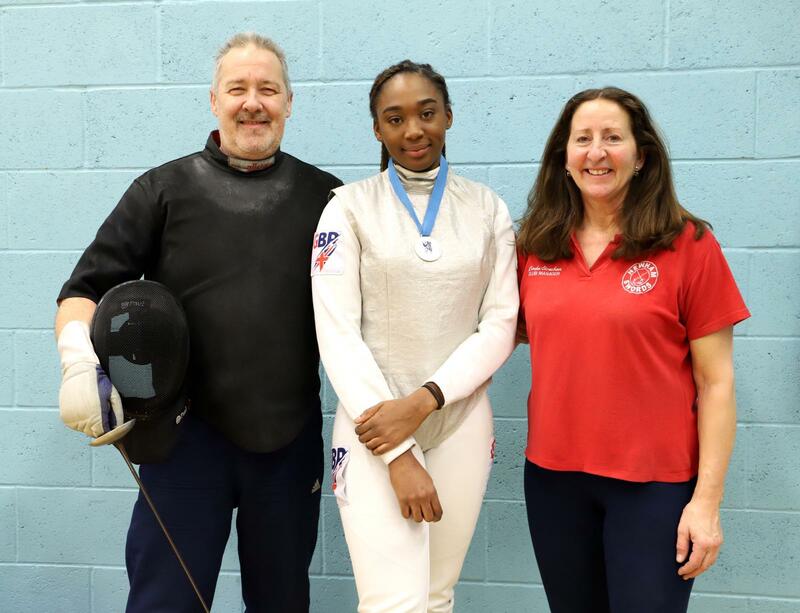 Congratulations also to Ellie Knox who is currently ranked number 8 in the GB U17 Rankings, earning her a GB selection for the Budapest and Cabries U17 Internationals. 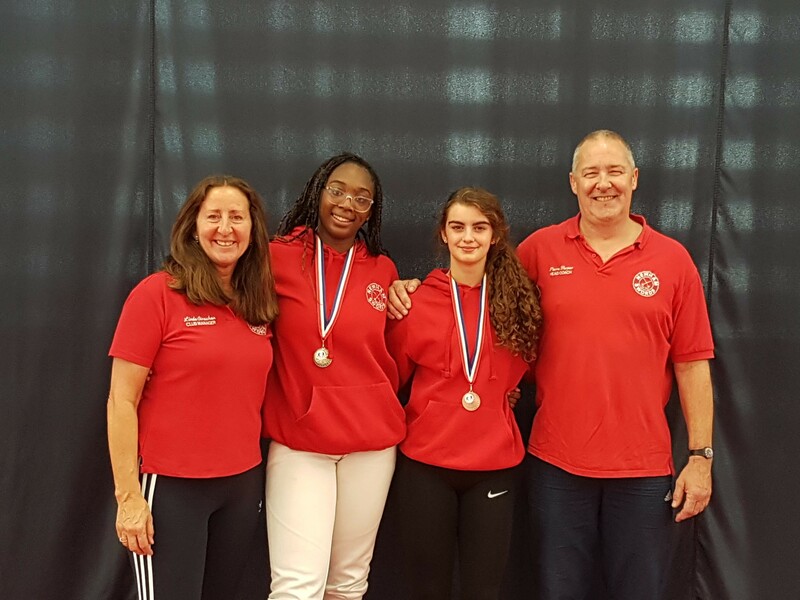 Well done also to Rachel Shaw and Alice Campbell for their selections to represent GB at next month’s Eden U20 World Cup. Well done girls! 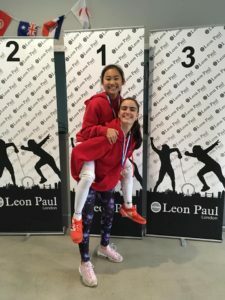 Pierre and I are so proud of you all!!! Newham Take Eight Medals in a Weekend! 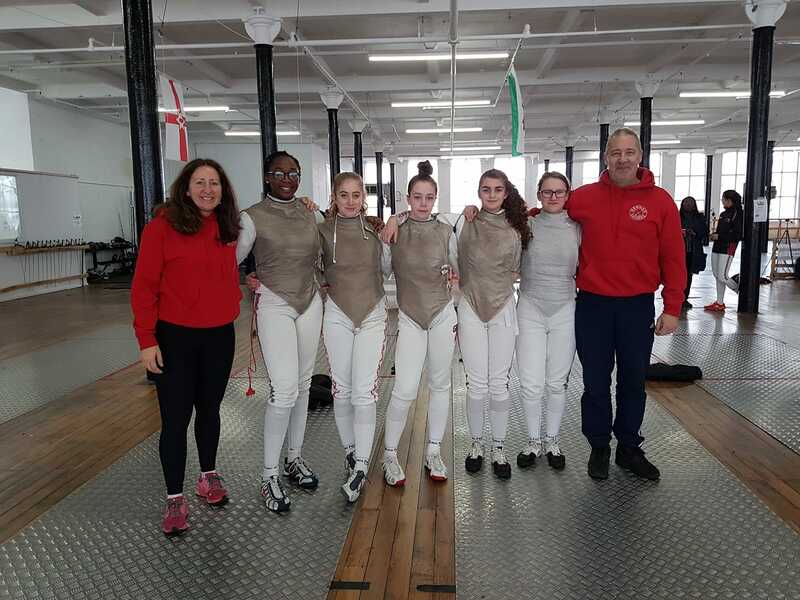 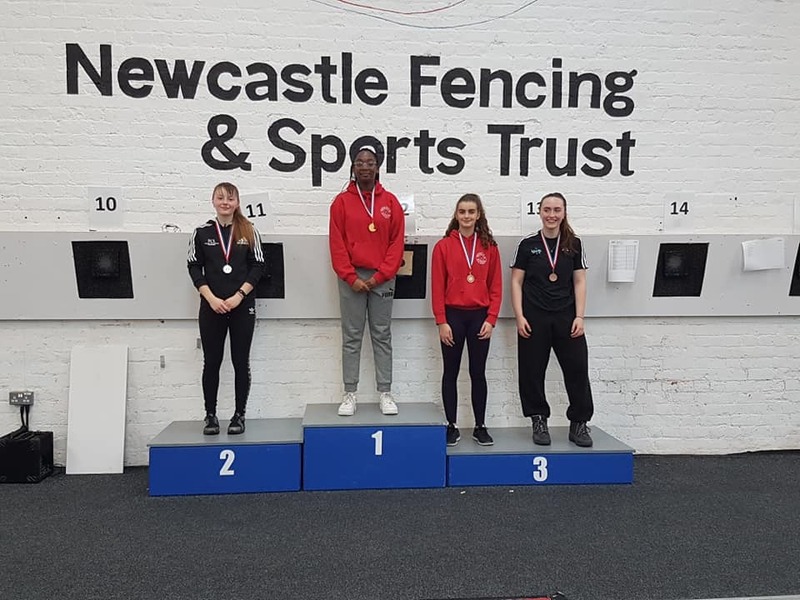 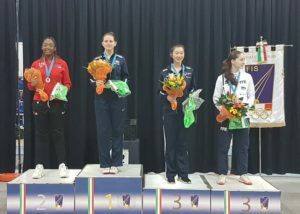 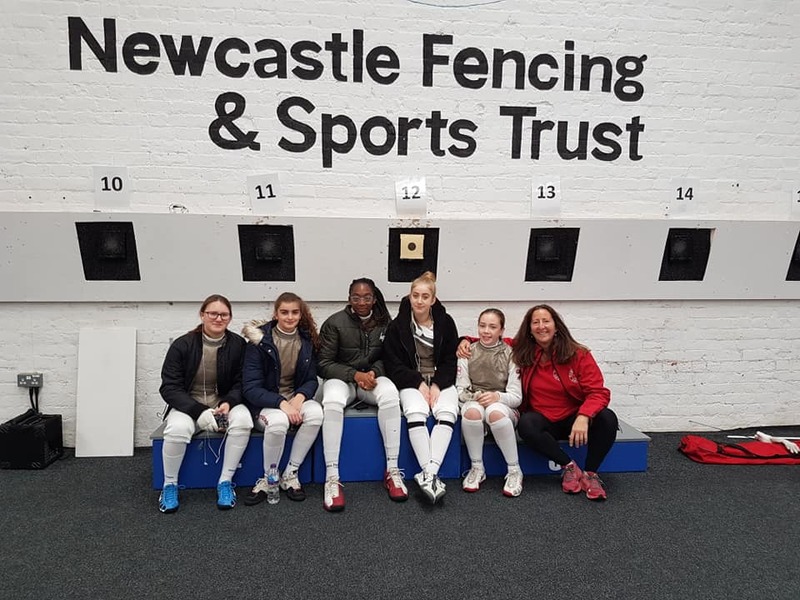 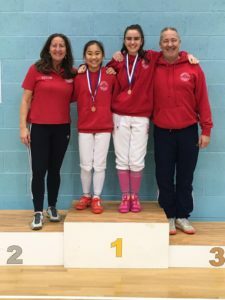 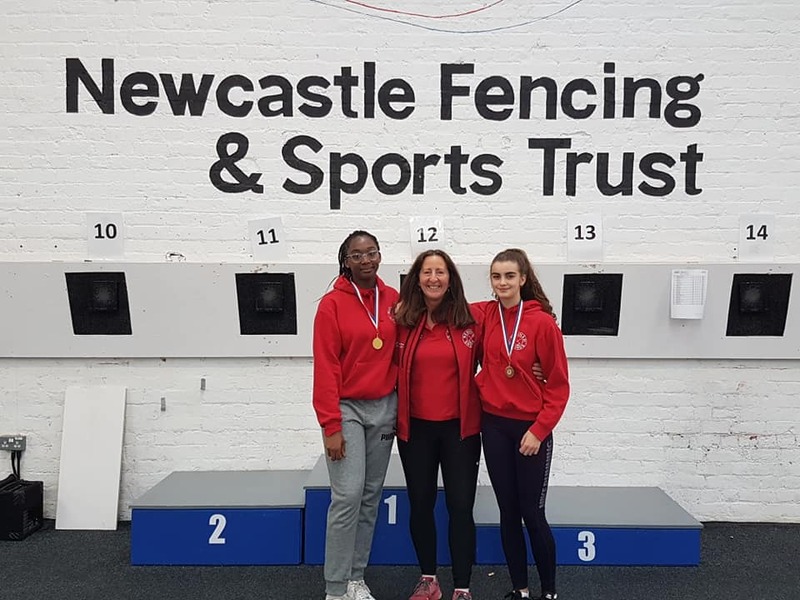 Teagan Williams-Stewart and Georgia Silk (still only cadets) took gold and bronze respectively at the Newcastle U20 Fencing Tournament, whilst Rachel Shaw and Alice Campbell came 7th and 9th respectively. 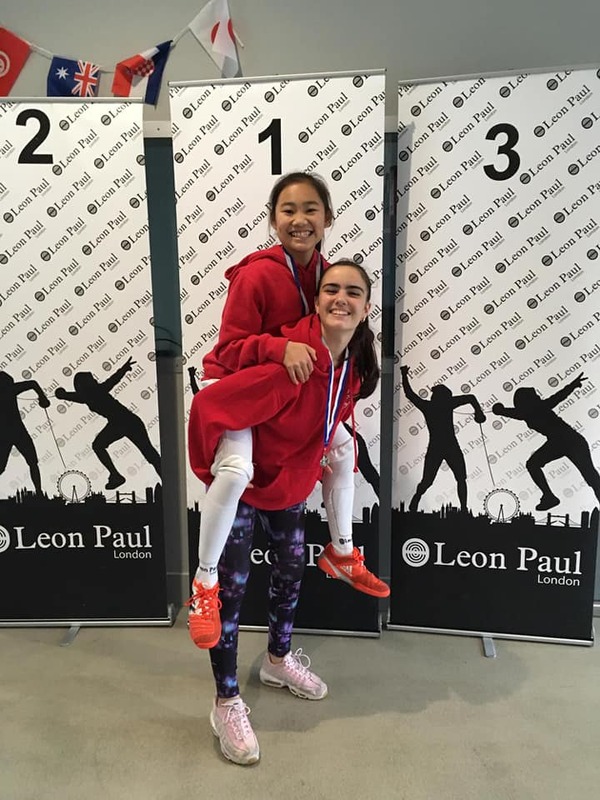 The ages of these talented fencers range from 15 to 18! 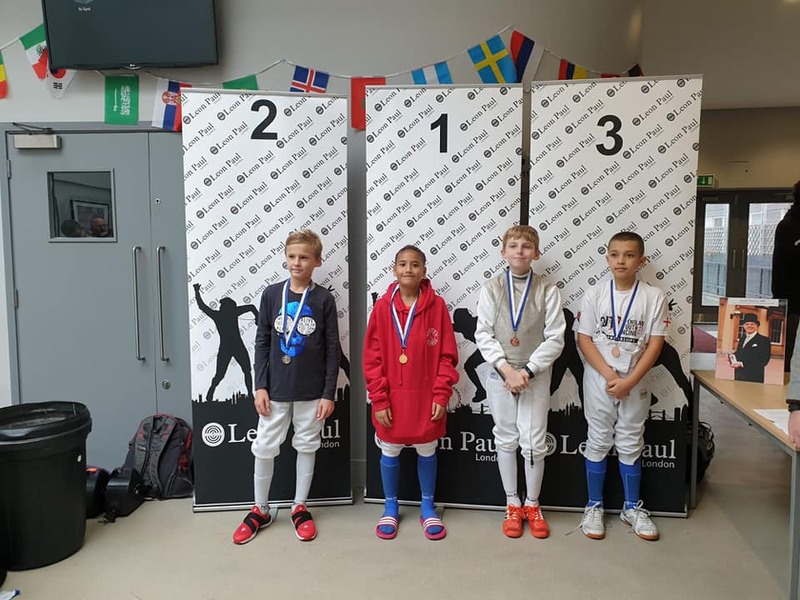 Congratulations also to Khalam Contractor who took gold in the U11 Boys Category at the Camden LPJS and who later added the bronze in the U13 Boys! This a fantastic result for someone fencing in the next age group up! Well Done Khalam! 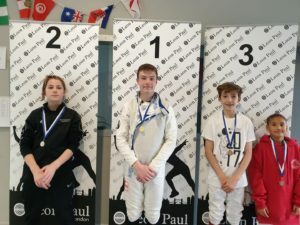 And it didn’t end there! 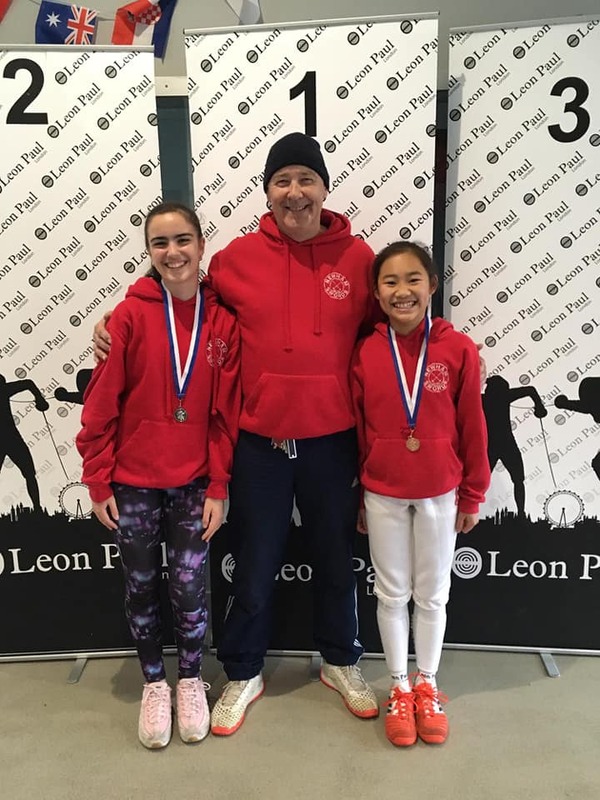 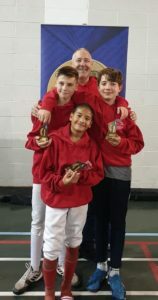 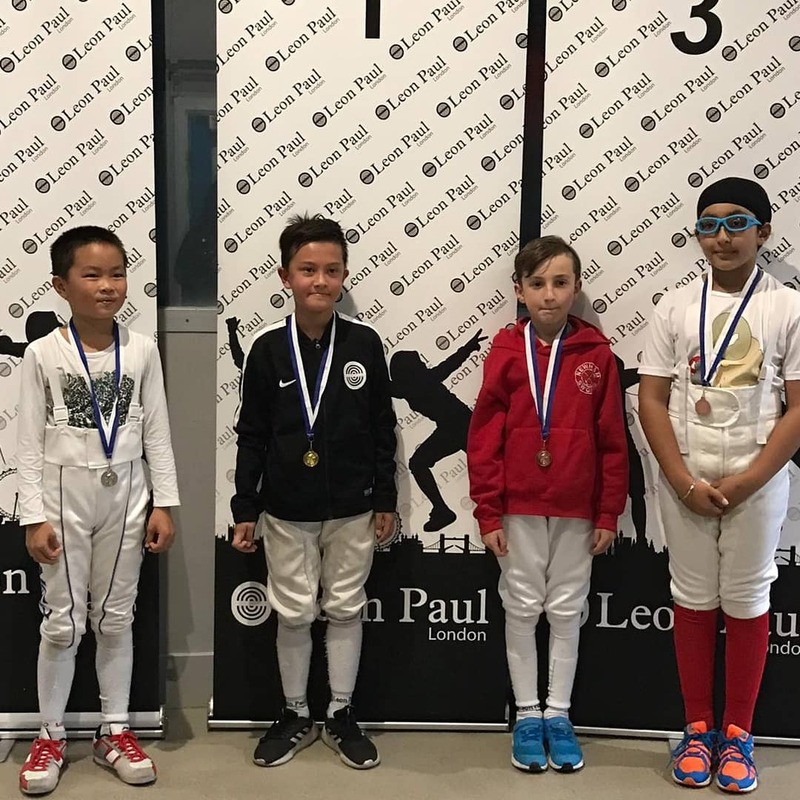 On the same day Lauren Ryder-Garcia and Sophie Tsang took Silver and Bronze in the U13 Girls at the Camden LPJS, and Mohammed Belbouab and Jagroop each took a Bronze in the U9 Boys at the Camden LPJS, taking our medal haul to eight! 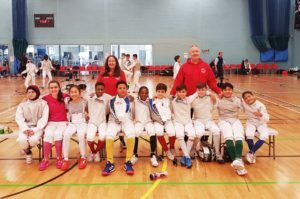 Well done Teagan, Georgia, Khalam, Lauren, Sophie, Mohammed and Jagroop!! Pierre and I are so proud of you all!